We offer a modern, comfortable motel property in Batlow, providing accommodation for the discerning business and leisure traveller. 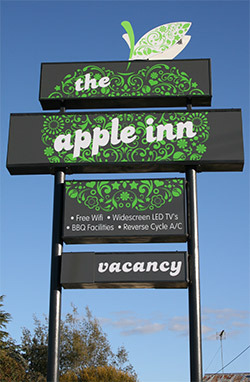 The Apple Inn, modern comfort in the country! We are a small, secluded property offering tranquility and an abundance of sightseeing in the town and surrounding areas. All rooms offer cosy beds, free wi-fi and large screen tv's. In-room breakfast baskets available on request. BBQ facilities and car parking within close proximity to all rooms. Ideally located midway between the picturesque Tumut valley and the cool climate wine region of Tumbarumba. Famous for apples, Batlow also offers a vast array of sightseeing opportunities such as Blowering Dam, Paddys' River Falls, Yarrongobilly Caves, Sugar Pine Walk and over 440kms of bushwalking tracks via the Hume and Hovell trail. We are the perfect choice for your accommodation needs whilst discovering the beauty of the Snowy Mountains. 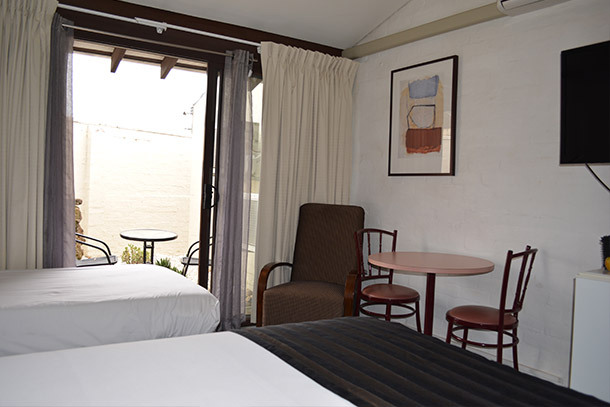 We have 12 spacious motel rooms with on-site garden BBQ facilities. The Baltow RSL club is located conveniently next door offering evening dining facilities. Within a short stroll to local cafes and a bakery we are your home away from home in Australia's apple capital! We are conveniently located next to the Batlow RSL club which hosts a dining room serving Chinese cuisine. Alternatively if you are hungry for a light lunch or snack , maybe a coffee and cake visit one of the local cafes or the bakery for a quick lunch. 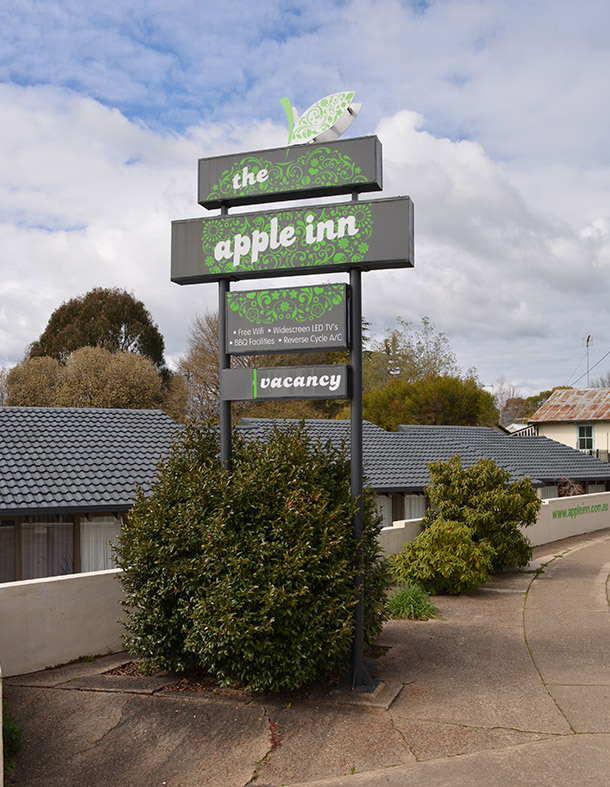 The Apple Inn .. where we treat you like family..
Modern, comfortable motel property in Batlow, providing accommodation for the discerning business and leisure traveller.